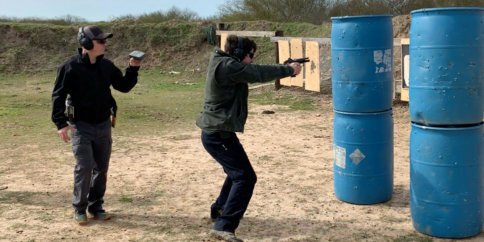 The Doubles Drill is an excellent drill for all handgun shooters looking to shoot quickly and accurately. 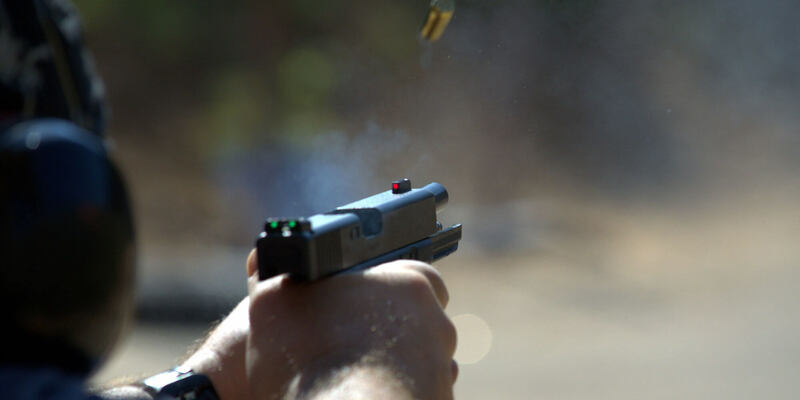 Balancing accuracy and speed is absolutely critical for practical handgun shooters. 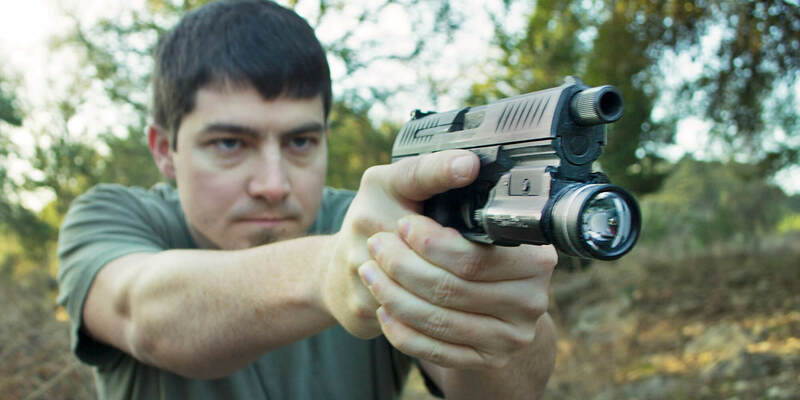 It doesn’t matter if you’re training with your conceal carry pistol, or your competition pistol for USPSA, IDPA, 3 Gun, or whatever else you’re interested in. There’s a common saying, speed is fine, but accuracy is final. But I like to add, accuracy without speed puts you in second place – you do not want to be in second place in a gunfight. The Doubles Drill aims to teach shooters to balance speed and accuracy with their controlled pairs. The Doubles Drill can be started from a holster or the low ready if you are at a range that doesn’t allow drawing from the holster. This drill is best run with a shot timer, but that isn’t a requirement. If running with a timer, after the beep, put three sets of controlled pairs on the target at your chosen distance. The time between the pairs isn’t important, the important part of this drill is your split time and the accuracy of your splits. This drill can be run at any distance, but five or seven yards is a great starting point if you’ve never run the Doubles Drill before. If you’re using a USPSA target, all of your shots should be in the A Zone. If you aren’t using a USPSA target, all of your shots should be in about a six inch group. The split times of your controlled pairs will vary depending on your skills and distance. The goal of the Doubles Drill is to reduce your split times as much as possible while keeping all shots in that tight group. This drill helps you learn your limits as much as it helps you improve your speed and accuracy. A firm grip and good sight picture are the two most important things while running the Doubles Drill. 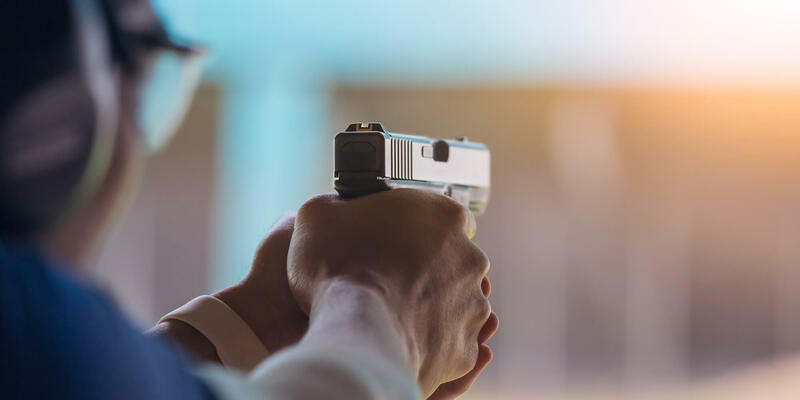 A high grip with as much contact on the pistol as possible paired with a firm, tight grip is critical to keeping the gun flat and on target for fast and accurate follow up shots. Acquiring and visually processing a good sight picture is the other component of the Doubles Drill. Without seeing your sights, accurate shots won’t be possible, especially at increased distances. 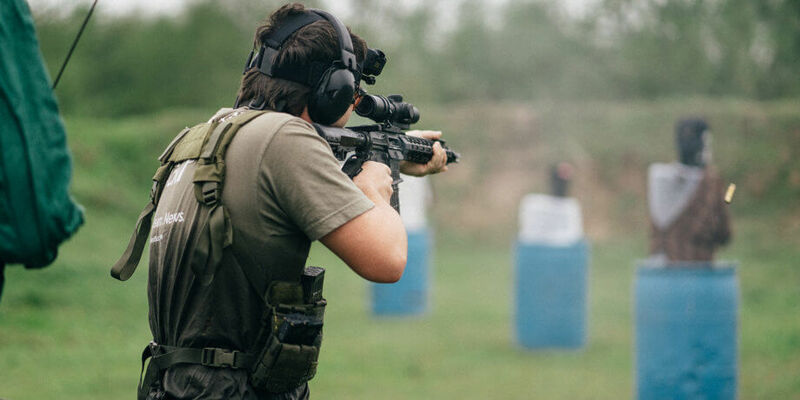 The faster you see your sights and mentally process that they’re back on target, the faster the follow up shot will be. Sometimes, getting better at the Doubles Drill requires deliberately failing the doubles drill. Try increasing your speed to the point where your accuracy suffers. When gauging your limits, that is perfectly acceptable. You’ll probably be surprised at how much you can increase your speed and still maintain reasonable accuracy. If your second shot is always going wild, then you have an issue with your grip and your pistol is likely shifting during recoil. Focus down on getting a good firm grip. 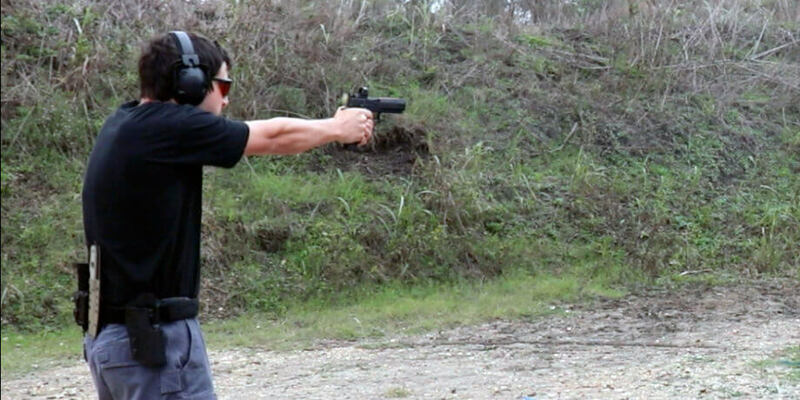 Try gripping the pistol even harder, but without the sights shaking. The more you run the Doubles Drill, the better you will get at visually processing the feedback your sights give you. Keep running it and you’ll slowly get better. Because it’s such a quick and easy drill, the this drill is a good drill to work into your regular training sessions. Next time your at the range, give the Doubles Drill a try.